It is always an exciting time when it comes to Google and the past month was no different. Google has been rolling out major updates at a commendable pace and there was a big batch of them the previous month. These were so substantial that people assigned them a name, referring to them as the “Google Medic Update”. This might not be a very accurate title as the impact of these updates wasn’t just on the health and medical sites as the name may have you believe. Let’s have a look at some of these updates and the impact they might have on digital marketing agencies and online advertising companies. Let’s start with a really big and exciting update from Google. Google has recently announced that their beta Google Search Console will be getting the link report. They claim that the new links report will be more accurate. Google made further waves in the digital marketing community by removing anonymous queries in their new Google Search Console. 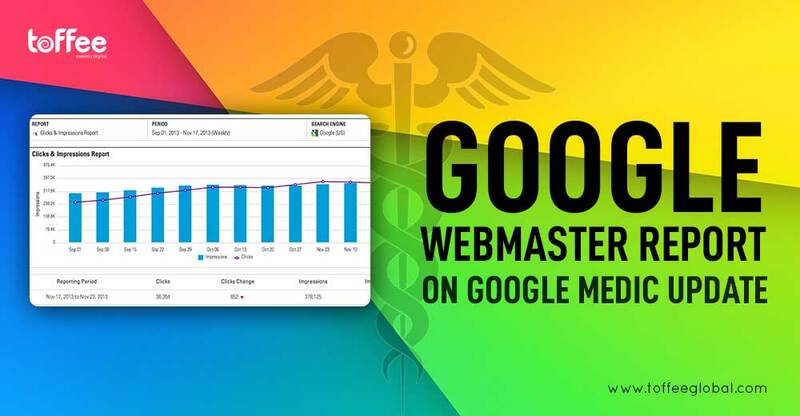 But everything didn’t go as planned at there was some bad news for Google as apparently there was a significant bug in the new Google Search Console which many digital marketing agencies and companies found to be moderately irritating. Now getting back to the exciting news, this one will bring a smile to the face of many. The featured snippets have been very well received by almost and they became even better during the past month. The launch of expandable feature snippets should further enhance the user experience of Google and save a lot of their time. These expandable feature snippets even have a really neat and cool design and they should be well received by the users and become quite popular in a relatively short amount of time. Unfortunately, this updates seems to only be available in English at the moment so non-English speakers may still have a wait a bit experience these expandable feature snippets but the digital marketing community should be rather satisfied with them. Let’s now talk about the most buzzworthy and exciting update that happened during the previous month, one that might affect every digital marketing agency or online advertising company in the world. The Google search algorithm is getting another update and it is already affecting the ranking of many sites though nothing substantial enough to really complain about. While this update was catching on quite fast initially, it now seems to have significantly slowed down. This could mean that there may have been a bug that Google had to fix. Nevertheless, Google does have every intention of rolling this update out globally. These updates really make being a part of a digital marketing agency or an online advertising company a very exciting job in which you always have to be aware and wary of what is going with Google and that is one of the reasons some people love doing it.